Ekpyrotic Frood – Page 3 – Geeky projects from a nerdy frood. Along with my Arlobot ROS packages, I have also been working on a “Metatron” package that I use for some “personalization” of my robot, and a web interface called Arloweb. 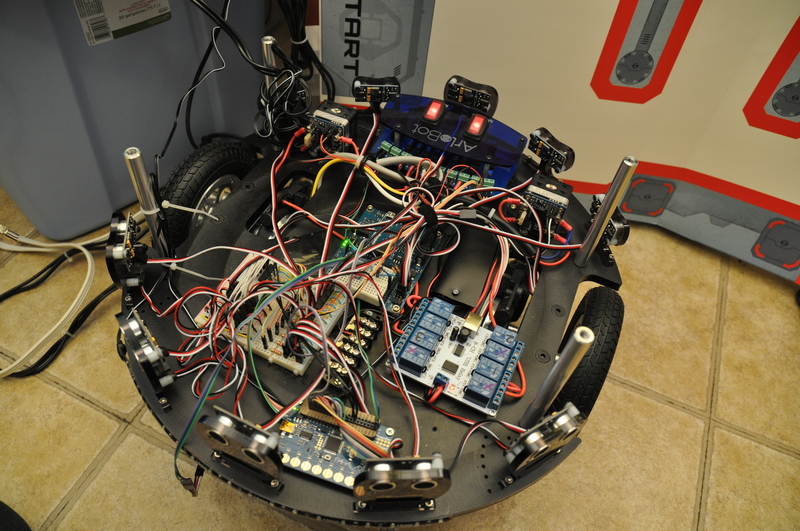 I now have Metatron and Arloweb on my GitHub repository, so technically everything I use on my robot is on GitHub now. In theory, if you follow my build to build the same robot I did, you can install everything from my GitHub repo and have a robot identical to mine. 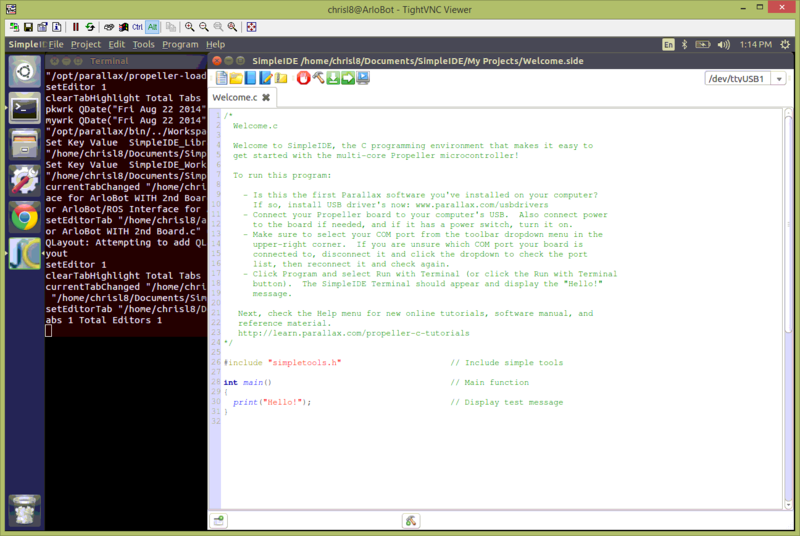 Certainly more documentation is due, but at least it is all there and being updated as I modify the code. If there is something in particular you want to do, let me know and I’ll try to document that ASAP. As it stands now I kind of drift back and forth between documenting things I did months ago and things I’m working on now. We have an xBox 360, so just like I was able to “borrow” the Kinect from it for initial testing, I am going to “borrow” one of the kid’s xBox controllers for testing! They rarely use all 4 anyway. To use an xBox controller with a PC (Windows or Linux) you need a receiver, which are fortunately easily obtained. I purchased this “Wireless PC USB Gaming Receiver for Xbox 360” from Amazon for under $10. Note: I’m not sure if there is any way to “disassociate” an xBox controller from your xBox. You just connect it to a new device. I found that if I turned on the controller in another room it was far enough away that the xBox did not power on. If the xBox keeps turning on and grabbing your controller just unplug it from the wall so it has no power. Once your associate the controller with the PC adapter it shouldn’t turn on the xBox anymore. Reconnecting it to the xBox should be as easy, just remember if you want to go back and forth you’ll have to keep doing this. ROS already has a page about Configuring and Using a Linux-Supported Joystick with ROS. I will just be adding my findings specific for the xBox 360 and my ArloBot. This appears to be some sort of accelerometer, possible built into the HP Elitebook laptop?! That is not what I am after now, but it sure seems like I should look into it in the future! Maybe your laptop has one too?! When I plug the USB adapter for the xBox joystick into my laptop I get four new “js” devices. I guess since the xBox standard is to support 4 controllers, the USB PC adapter provides 4 devices right up front. Press the button on the USB adapter and it starts flashing. Press and hold the small round button on the back of the xBox controller that looks like “O)))” until the lights on top of the controller start to “spin”. The light on the USB adapter will stop flashing almost immediatly and the lights on the controller will stop spinning and start flashing all together. This part is confusing, because when the controller is connected to the xBox you get one quadrant lit up to show which controller it is. Instead on the PC I just get all 4 lights flashing at me, which is kind of annoying. However, if you run sudo jstest /dev/input/js1 you will indeed see that Ubuntu sees the controller and it is the first one! and 15 buttons (BtnX, BtnY, BtnTL, BtnTR, BtnTR2, BtnSelect, BtnThumbL, BtnThumbR, ?, ?, ?, (null), (null), (null), (null)). If your screen scrolls instead of updating the line of input in place try resizing your terminal window. Clearly we have a LOT of input options here and a lot of cool buttons for doing all sorts of stuff! You will need to have ROS running at this point, so if you don’t, start it. If you don’t know what I mean, just open another terminal window and run roscore so it can be running over there while you carry on over here. A button push will give one entry for each up and down. Moving an analog stick or button will send a lot of them as a stream of the analog output! Now we know that ROS can see the input from your xBox controller!!! chrisl8@ArloBot:~/arlobot? rosrun joy joy_node [ INFO] [1415227328.714727550]: Opened joystick: /dev/input/js1. deadzone_: 0.050000. [ERROR] [1415227389.322316326]: Connection to joystick device lost unexpectedly. Will reopen. [ERROR] [1415227389.322740820]: Couldn't open joystick /dev/input/js1. Will retry every second. [ INFO] [1415227390.342425225]: Opened joystick: /dev/input/js1. deadzone_: 0.050000. [ INFO] [1415227328.714727550]: Opened joystick: /dev/input/js1. deadzone_: 0.050000. [ERROR] [1415227389.322316326]: Connection to joystick device lost unexpectedly. Will reopen. [ERROR] [1415227389.322740820]: Couldn't open joystick /dev/input/js1. Will retry every second. [ INFO] [1415227390.342425225]: Opened joystick: /dev/input/js1. deadzone_: 0.050000. NEXT: Use the xBox controller and joy node to control ArloBot! So now how do we make use of this in ArloBot? Certainly we could write custom code and/or modify code to make use of the amazing arrow of inputs, but ROS already has code for this. Later I may augment this to make use of more of the buttons, but for now I’m going to try to just use what is included in ROS with as little modification as possible. Don’t follow on with the ROS page we were at before, that was just to make sure we could see the controller in Linux and show us how to debug. Now we want to find a node that we can use with ArloBot with the least fuss. The way this works is that it ONLY sends commands to the robot while the left “shoulder” button is held down. It is labeled “LB”. Hold that down and move the left stick and the robot should respond! If things get out of hand just let go of the “LB” button and all zeroes will be sent again to make it stop. And that’s it! It should work. I will probably do some tweaking and customizing of my own joystick teleop code and include it in the ArloBot github repository soon. Until then though, the TurtleBot code is working fine. 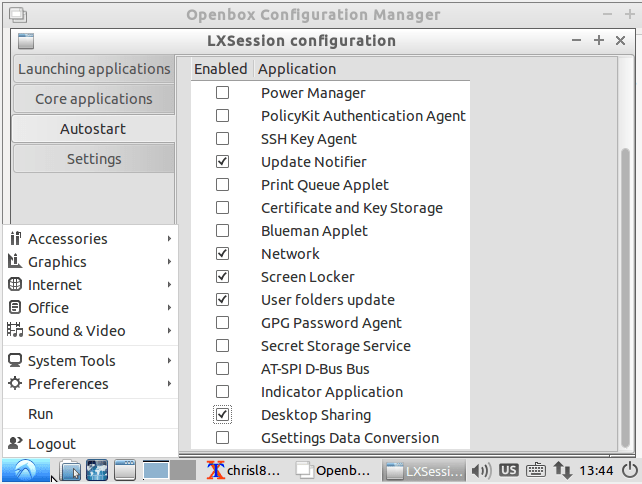 In the last article I explained how to set up an Ubuntu laptop for use by ROS. Here I’m posting my notes about how to get ROS Kinetic up and running on that laptop. There is now a script to install everything. To update your code just run the same script again and it will pull down and compile anything new without erasing custom settings. Part of the ArloBot setup is to have a laptop riding on board the robot to run ROS. This article is a quick set of instructions for setting up that Laptop. I bought a well used HP EliteBook 2760p on Ebay. It is great for the robot because it has a reversible touch screen! It also has two batteries so it can go a long time on a charge. It has a 64 bit quad core i5 2520M CPU, which should be snappy for ROS. The TurtleBot comes with an ASUS “Netbook” with an Atom N525 dual-core 1.8GHz CPU. While this works, I think it should be considered the absolute minimum for a usable laptop for ArloBot. ROS Kinetic is built for Ubuntu LTS 16.04 Desktop. It is the “Long Term Support” (LTS) version, so you can download and use it for several years without having to upgrade to the next version. This gives the ROS development community some stability in their target OS. The bottom line is that any of them will work exactly the same for ROS. The “light weight” Lubuntu and/or Xubuntu will allocate less RAM and a few less CPU cycles to the Desktop GUI, allowing ROS a little more room to work. Don’t expect miracles, but every little bit counts. Just remember that it must be an Ubuntu Desktop variant of version 16.04 LTS (the .01, .02, .03 on the end is fine). Other Linux distributions will not work, nor will newer versions of Ubuntu. We can hope that ROS becomes more compatible in the future, but for now at least this requirement makes for relatively easy installation of ROS. These instructions should be the same for Ubuntu, Lubuntu or Xubuntu. Note that some of these instructions are from my last install that did use “ordinary” Ubuntu, so some of the screenshots and text will reflect “Ubuntu” instead of “Lubuntu”. NOTE 8/216/2017: These instructions were originally written for an older version of ROS and Ubuntu. If you see mistakes referencing that old version, please let me know. My laptop has no DVD drive, so I have to use a USB stick or something else. NOTE: I have UEFI Boot Mode disabled in the BIOS! I found no benefit from it. NOTE: Remember to turn off “Fast Boot” in the BIOS, and enable USB boot if it isn’t already to get it to show up in the boot options. I recommend that you do NOT plug into Ethernet! This way the Ubuntu setup will ask you to configure WiFi during setup, proving it works and getting it pre-configured during install! Boot from the USB stick or DVD you created with the Lubuntu (or Ubuntu, Xbuntu, etc.) ISO. Really, anything here will work. You can dual boot with Windows or another Ubuntu version, or erase the disk. and you do not need LVM either. CHECK: Log in automatically – I prefer this, but you don’t have to. On first boot let the Software Updater install all updates and reboot if asked to. and you can right click it and run a “New Terminal” when you need another one. 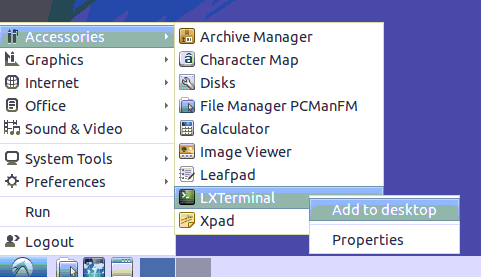 Right click on LXTerminal and select “Add to Desktop” if you want it easy to access from the desktop. Now you can use ssh from Linux or PuTTY where you can cut/paste. The entire idea of a robot is to be remote, so it will help a lot to be able to control it from your desktop. VNC works well. If your normal computer is running Windows use TightVNC. If you are on Ubuntu you can use Remmina. Click on the “Search Desktop” button, type “remmina”. and put in a password. NOTE: I also UNcheck “Update Notifiier” and “Screen Locker”, but that is personal preference. Otherwise TightVNC cannot connect due to silly encryption policies that it cannot understand! 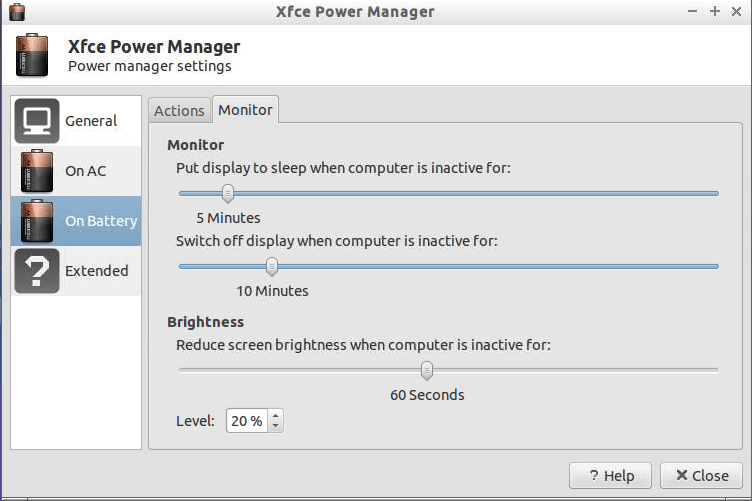 Reboot to startup VNC and test it. These are all a matter of personal preference, but I find this to be the best way to set things up. You can also adjust the screen off times and when it dims. I like to set it to dim after some time and to shut off eventually. When you run ROS nodes on the laptop via SSH they will be in your session. If your session disconnects it will stop ROS. To allow your session to continue in the case of an accidental or even purposeful disconnect you can use a program called tmux (or screen) that lets you leave running “sessions” open. byobu is a front end to tmux that makes it pretty and easier to use. byobu-enable This will cause byobu to automaticlaly start when you connect via SSH. The first time you press ctrl-a it will ask if you want this to go to work with Emacs or Screen, pick Screen. F1, Toggle Status, add/remove what you want. I like to add the battery level. 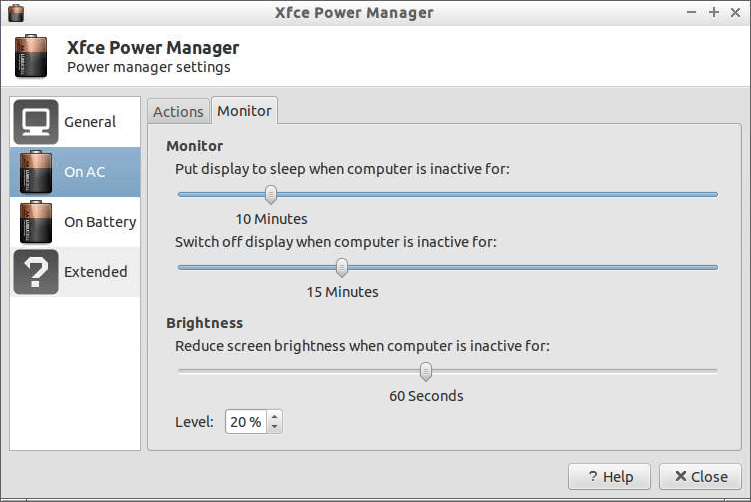 If you want to run your laptop on the robot with the lid closed, you may need to do this, because when you reboot or try to shut down while the lid is closed and the laptop is on battery power, as soon as XWindows shuts down the computer goes to sleep before it even shuts down! This leaves the laptop in a limbo where it sleeps until the battery dies with no hope of connecting to it until you open the lid and let it finish shutting down! I found two solutions. I am using the first option, which works for me, but if Option 1 doesn’t work try Option 2. Reboot to make these changes take affect.